Order now for dispatch in 2-3 working days. A deluxe handheld Magnifying Glass with 5 bright high output LED lights for reading, hobbies, crafts, maps, etc. and 1 blue LED light - ideal for use in the car or situations where the light is subdued. Ergonomic design with soft-touch comfort grip. 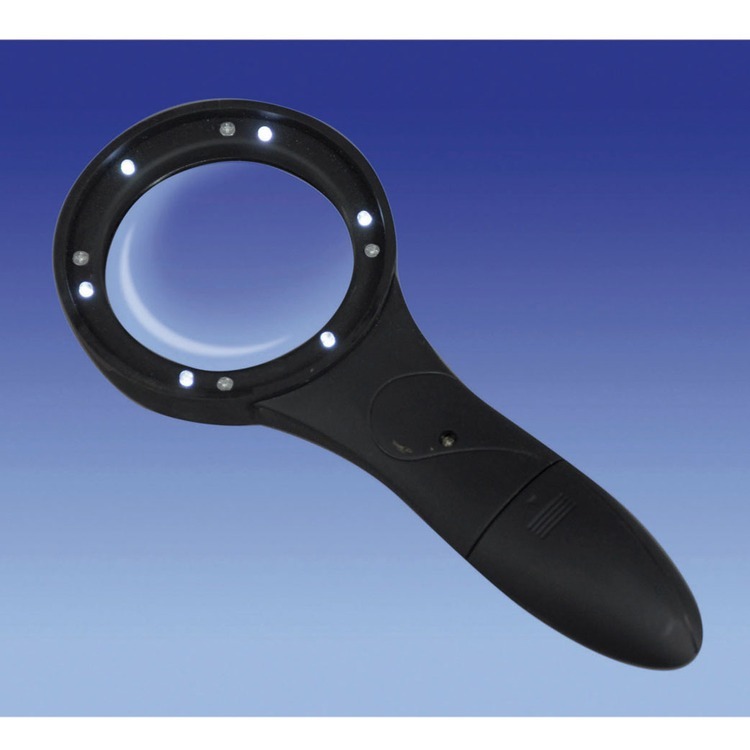 This handheld Magnifier with LED Lights features 4x magnification. Press and slide open the battery compartment at the base of the handle and insert the batteries following the direction shown in the compartment. Close the battery compartment lid. Locate the switch on the handle and slide to turn on the lights. Slide the switch again to turn off the lights and preserve battery life when not in use. Use your Handheld Magnifier with Light as you would a standard magnifier, with or without the light in operation. 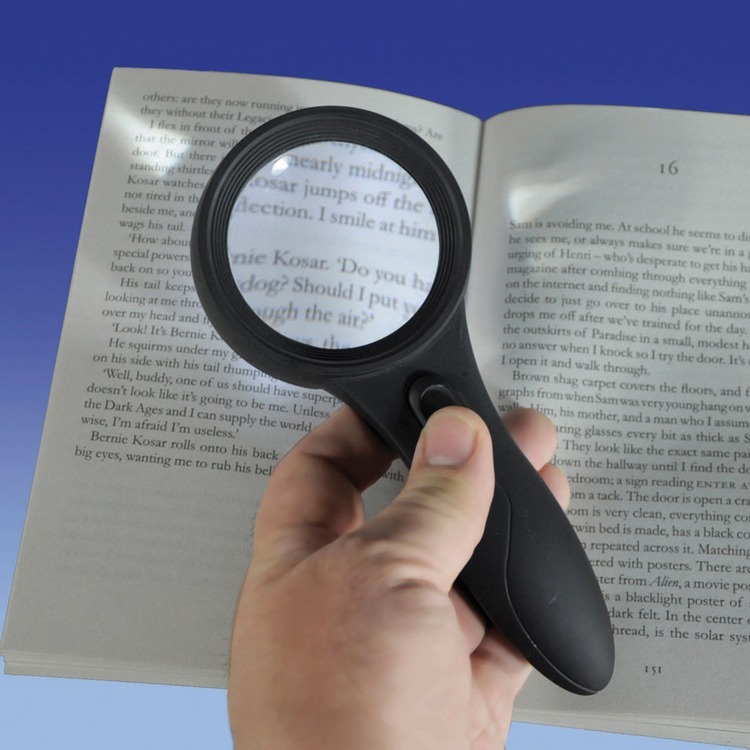 Clean your Handheld Magnifier with Light using a mild detergent with a slightly damp, soft cloth only. Only use a mild detergent or disinfectant; never use an abrasive cleaner. Do not submerge the Magnifier. After cleaning, use a soft, dry cloth to wipe the magnifier and stand.